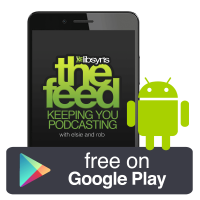 The Feed The Official Libsyn Podcast: The Feed SPECIAL: Google Play Music And Podcasts! For Google it is about taking something you’re doing in the real world and helping you do it better - this time with podcasting. I love that their strategy is to curate and offer podcasts out to those that might not know about podcasts. Google Play Music with podcasts will be US only at the start. At the beginning, it will be just Android only - then followed shortly thereafter by iOS and web browsers. Elias said they do not change the file - but he wanted to make it clear - they do re-encode the file - just like Stitcher and Spotify. They do not change the content at all, which includes, inserting ads into it or cutting it apart. Finally, 1200 x 1200 is fine for the image - anything above that is fine, but not at all necessary. Your 1,400 x 1,400 images are great - as will be your 3,000 x 3,000 or any square in between. And as mentioned you can even go up to 7,000 x 7,000 - but if you do anything over 3,000 x 3,000 you must go with the libsyn GPM destination if you are hosting with us - and not your main feed. In Libsyn there will now be a GPM (Google Play Music) destination. As I mentioned in the interview if you are hosting with Libsyn you should have a Google Play Music destination available for you. Why do you want to use your new Libsyn Google Play Destination over say your regular one? It means you have better control over your content and you can determine on a per episode basis which episodes go to which destinations and when. It gives you better control over the description and meta data. GPM does have some specific tags. There is a Googleplay author tag - a google play email tag - a google play image tag - a google play description tag - a google play explicit tag and a google play block tag. All that is taken care of from within the Libsyn destination. Google Play Music is supporting the top level categories from iTunes, but not down at the sub-categories. If Google decides to add or remove categories, we will be able to make those changes to keep lock step with any Google changes. You can do some A/B testing - release one episode with a specific call to action to one feed and another to the other feed - and see where you get the best results. Fill in the info on that form and upload your artwork - making sure to add in your email address. 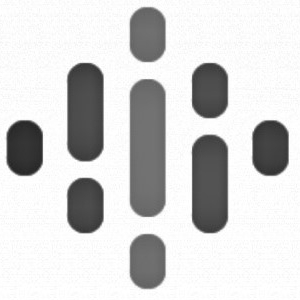 Go to - g.co/podcastportal and submit your RSS feed. After you’ve submitted your RSS feed, review the email address used to verify ownership of your podcast. Check the email account listed for your verification email. Visit the link included in the email to complete the verification process. If you go to the google site http://g.co/podcastportal site there will be some documents to help you and inform. There will be one on Explicit content and Content conduct. Both are pretty straight forward and common sense. Anyone have any other questions about Google Play Music and podcasting? Or about the new Libsyn Google Play Music destination? 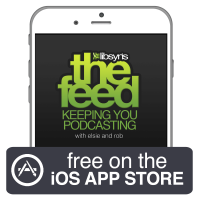 We will be recording Episode 58 of The Feed this upcoming Friday October 30, so send us your question as soon as you can!! !